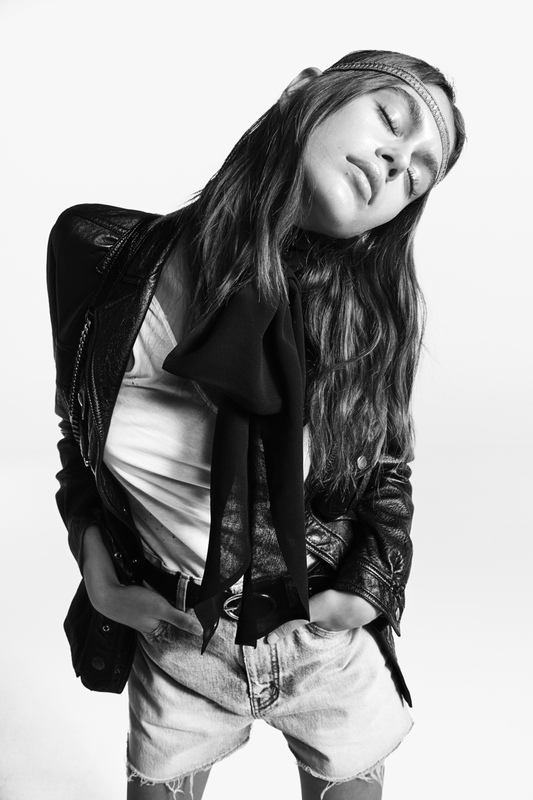 Saint Laurent goes all in on denim for the #YSL23 campaign. 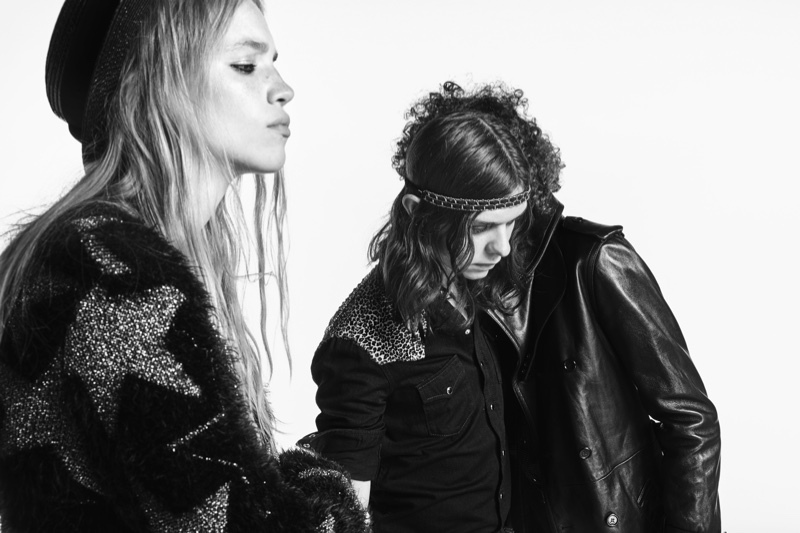 A group of models pose in cool kid, rock and roll inspired looks. 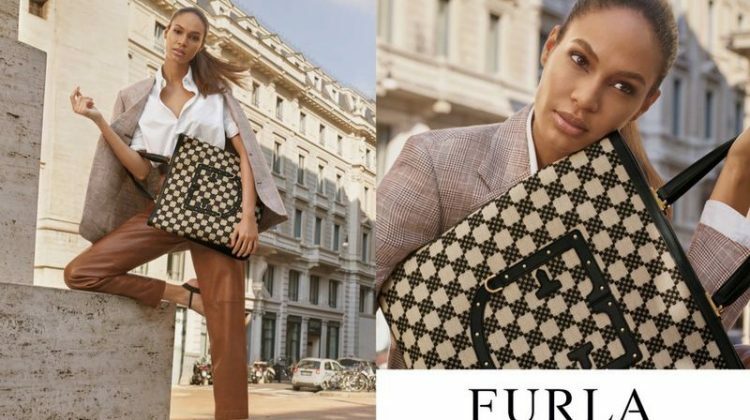 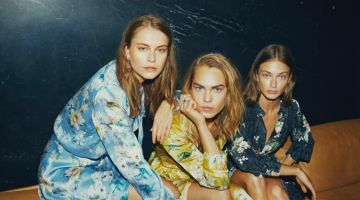 The cast includes YSL Beauty face Kaia Gerber as well as Mads Mullins, Rebecca Leigh Longendyke, Simona Kust, Rai Langlois, Dylan Christiansen, Martina Boaretto and Dakota Lindvall. 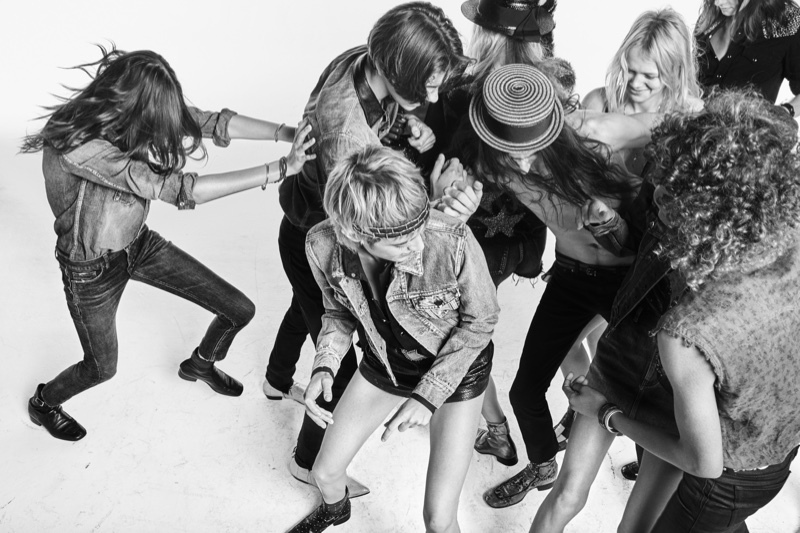 Captured in black and white by Gray Sorrenti, the cast wears fitted jeans, cut-off denim shorts and of course–leather.